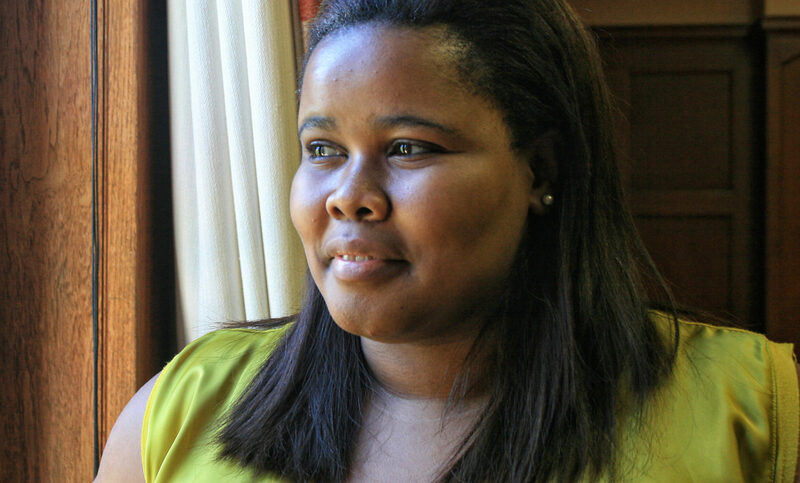 Lindiwe Mazibuko is on a political mission. It’s not to join the ruling party; rather it’s joining the dots to launch her new initiative, Apolitical Academy. Twitter went a little nuts on Thursday night when Lindiwe Mazibuko was spotted at an ANC-held event. Things got nuttier when the former DA parliamentary leader tweeted some love to Razmatazz and President Cyril Ramaphosa. In the sober light or the next morning there were at least two lessons to be learnt: First, Twitter gets things wrong; and second, Twitter gets it wrong a lot. What is true is that Mazibuko is on a political mission. It’s not to join the ruling party; rather it’s joining the dots to launch her new initiative called Apolitical Academy. The academy will be a kind of political boot camp for young people (aged 25-40) from southern Africa who want to turn their civic-mindedness into political life and public service. It’s Mazibuko’s vision to populate public office and political structures with a new generation of ethical leaders who want to “make public service a force for good”. It sounds like rainbows in the sky stuff but it’s deadly serious to Mazibuko. The rise of populism and the public service leadership crisis demands a generation of leaders who can shatter the old ways of governance and public service that have failed. Apolitical Academy got its start when Mazibuko was teaching a course at the Institute of Politics at Harvard, in the year after taking up her fellowship at Massachusetts university. Mazibuko teamed up with three other global leaders as her co-founders for the academy. The international team lend back-end global support, networking and seed funding, while she’s the executive director of the organisation that will pilot the programme in Joburg. “I’ve met so many young people in the US and southern Africa who want to be involved in public service but think it stinks and would rather take their talents and skills to the private sector,” says Mazibuko. She adds that globally there’s a disconnect between the high numbers of young people who are civic-minded and civically motivated and the statistics that show low interest in voting or supporting political leaders. Bridging the two means dismantling bad models and formulae – like old men leading on a continent where the average citizen is a 28-year-old black female or dictatorships that masquerade as guarantees for stability and continuity and thinking. It’s also not a case of sending talented people to fix bad problems. “Sending anyone into a dysfunctional area of public service will mean condemning them to die a slow death. Rather we should think of deploying people into centres of excellence and helping these centres of excellence grow and replicate,” she says. It’s a point about diversity and inclusivity. It’s how you break echo chambers, she says, and it’s why her invitation and attendance at the “Conversations with Comrade Cyril” event last week was about just-right. There’s some disruptive thinking, quite radical, she calls it, but essential if new ideas are to be transformative. She’s unapologetic about defending young people. The millennial blind spots of little life experience, bowing to the shallowness of Twitter and selfie-obsession don’t bother her too much. Egos can be worked out, she says, and Twitter is a tool that can be tweaked. It’s the digital native who will be best equipped to use technology and networks to share, collaborate and problem solve, Mazibuko believes. She’s not writing off anyone over the age of 40 though, but does warns against mentorship that becomes strangulation. Her own experience inside the DA with Helen Zille had an ugly ending. Now though, with distance from the party and growing through her Harvard journey, there’s more insight and honesty than bitterness. “Mentors who start to think they own their mentees and resent their mentees from surpassing them are toxic and we need to learn to see that,” the 38-year-old says. She claims she is still a DA supporter and believes in its values. Even this declaration of support for a party that looks in a shambles right now speaks to a steadiness that comes from developing resilience, rather than responding with knee-jerk reactions. Apolitical Academy will have an initial 25 fellows starting September/ October. Their fully-funded nine-months programme will involve seven meet-ups throughout that period. Fellows will be drawn from two streams: those who want to enter politics and those who want to enter public service. The programme will include the basics of fund-raising, speech writing and dealing with the media as tangible pedagogy. It will also include building self-knowledge and personal development with learning from global leaders. “The golden thread that runs through this is about knowing your ethics and knowing who you serve,” she says. It’s “diving deep” into the uncomfortable truths of corruption, personal integrity and how to navigate morality that is a moveable feast, she says. Mazibuko must still fundraise for the academy and she admits that it’s a learning curve for her too. She had made the call though that donors for the African academy must be drawn from local and regional contributors. “It’s because we’re looking for investors and partners rather than just donors,” she says.